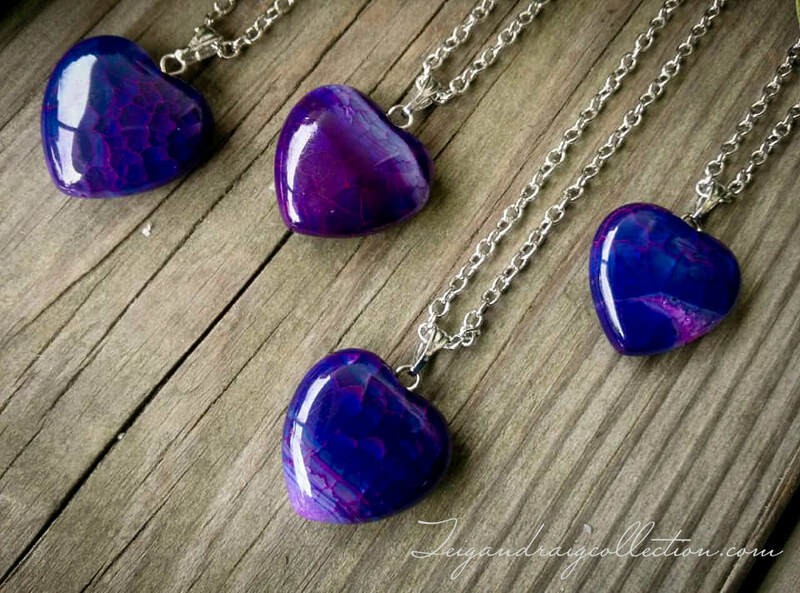 Beautiful purple dragon vein agate (also known as crackled fire agate) heart pendant necklaces brings fierce protection and ignites the flame of spiritual will. 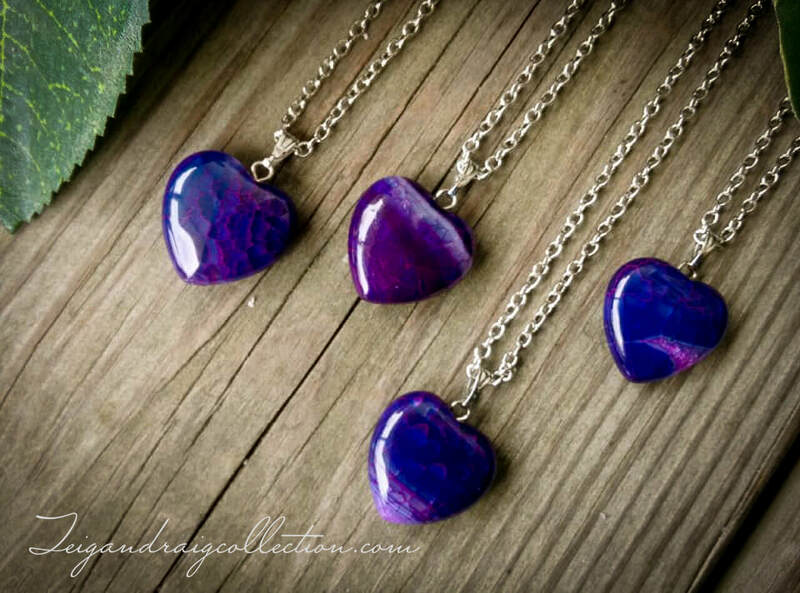 Dragon vein agate stimulates the Sacral Chakra and enhances sexual libido. It also aids in treatment of addictions and helps eliminate cravings and destructive behaviors. 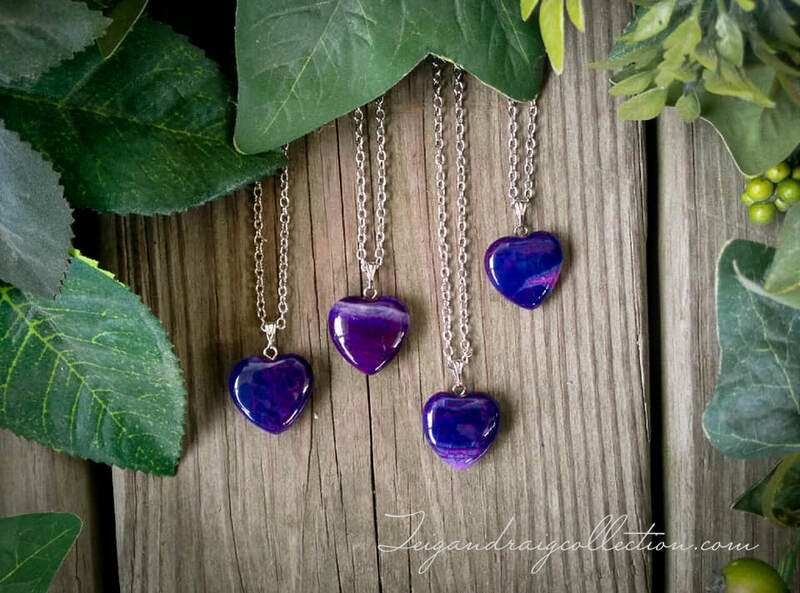 Purple dragon vein agate pendant necklace. Silver tone chain is 16 inches long with lobster claw clasp. Four shown are available. 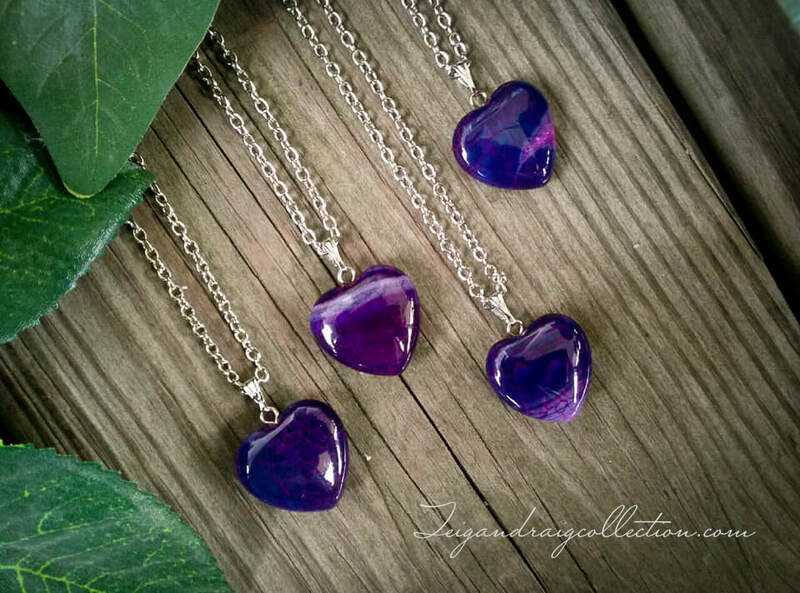 Please allow me to intuitively choose your necklace for you.